A Fellow of the American College of Cardiology, Dr. Makielski is board certified in internal medicine and in the subspecialty of cardiovascular diseases (cardiology). 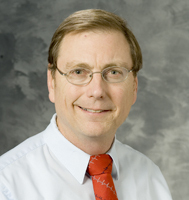 Recognized as an excellent teacher both in clinical and scientific settings, Dr. Makielski formally lectures to graduate students in physiology, genetics, pharmacology and toxicology. Nationally, he has participated as a lecturer in numerous courses and tutorials. As a clinician-investigator, Dr. Makielski has developed a distinguished NIH-funded research career in molecular electrophysiology. Dr. Makielski 's research has been continuously funded by the NIH since 1985 and he is a leader in ion channels research employing molecular biological and electrophysiological methods. His interests include the genetic basis of arrhythmia, such as the Burgada syndrome and long QT syndrome, with a focus on the cardiac sodium channel. Dr. Makielski is also studying the ATP-dependent potassium channel and its role in ischemia and ischemic preconditioning in the heart.